This grey hoodie sports a fleur-de-lis on the left breast, though it’s seldom visible underneath Sam’s jackets. In the Pilot (1x01), Sam puts on this hoodie before leaving Palo Alto, and keeps it on for the rest of the episode. In Bloody Mary (1x05), Sam wears it from the beginning of the episode, but changes when he and Dean and make the research trip to Fort Wayne, Indiana. In Skin (1x06), Sam wears it when it’s time to say goodbye to Becky at the end of the episode. 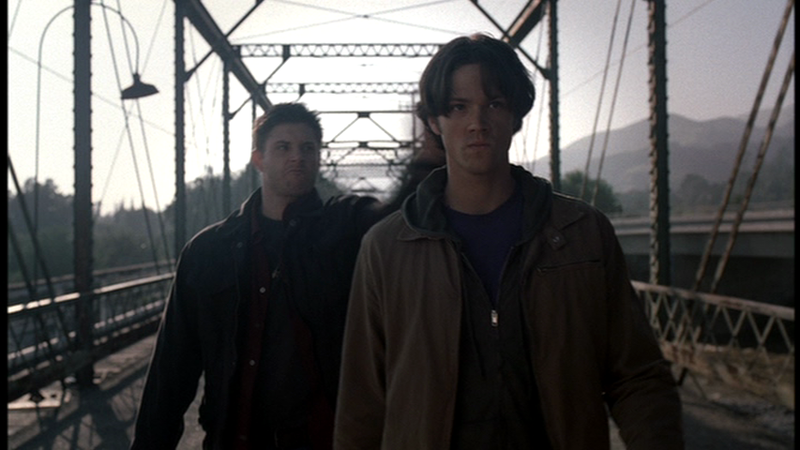 In Faith (1x12), Sam wears it to the doctor’s office after Dean is healed, and when investigating the death of the swimmer. FATE: I fear Sam outgrew this hoodie. It’s a shame.